INDUSTRY.co.id - Solo, TPT industry contributes greatly to the national economic growth, among others through the employment of as many as 3.58 million people or accounted for 21.2 percent of the total labor of the manufacturing industry. Director General of Chemical, Textile and Multifarious Industries Achmad Sigit Dwiwahjono, representing the Minister of Industry, was a speaker at Public Lecture at the Academy of Textile and Textile Product Industry (TPT) or Solo Textile Solo Surakarta in Solo, Central Java, last Monday . He said the national textile industry is in need of a lot of skilled manpower along with the expansion and new investment. 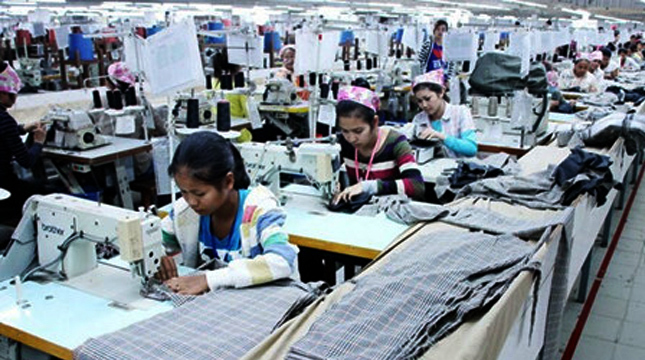 For example, in Boyolali, textile companies are looking for more than 5,000 workers. In addition, our textile industry last year grew 3.45 percent, sharply higher than the previous year's minus one percent. So the increase in investment in the industrial sector should be welcomed with the effort of providing human resources (HR) is ready to work as needed from technological developments and manufacturing processes today. It aims to boost the productivity and competitiveness of the industry so as to be competitive in meeting the consumer market both domestically and internationally. Therefore, the Ministry of Industry made several breakthroughs in making the acceleration program for the preparation of the availability of industrial human resources and the increase in its competence that is in line with the current workplace demand, he said. Sigit asserted, to maintain the industry's performance remains positive, one of which required quality aspects and the amount of labor. In this case, the Ministry of Industry has implemented a number of strategic steps, including the implementation of education and vocational training programs that link and match between industry and Vocational High School (SMK). he has said that Ministry of industry themself launched the program in several areas of Indonesia up to five stages, including East Java, Central Java and Yogyakarta, West Java, North Sumatra, and Jakarta and Banten. The total industry involved reached 558 companies by cooperating with 1,537 SMK. Especially for supplying manpower in TPT industry, Ministry of industry owns Solo Textile AK education unit and 3in1 Training (training, certification competency and work placement) for garment machine operator. In addition, we are also restructuring the machinery and production equipment, which will be replaced mainly based on digital technology according to the latest developments, "he added. TPT industry contributes substantially to the national economic growth, among others through the employment of as many as 3.58 million people or accounted for 21.2 percent of the total labor of the manufacturing industry. Furthermore, significant foreign exchange earners from TPT exports amounted to USD 12.59 billion or 10.1 percent of total manufacturing exports in 2017. Our textile industry also contributes 1.07 percent to the national GDP, and recorded investment value of up to Rp10, 19 trillion in 2017, he said. Based on the National Industrial Development Master Plan (RIPIN) 2015-2035, TPT industry is one of the mainstay sectors due to export-oriented and labor-intensive and prioritized in its development in order to be more positive and globally competitive. Sigit added, TPT industry began to utilize the latest production technology. For example, in the upstream sector, the manufacturing process of raw materials can create new generation fibers, such as nano fiber for sportswear, as well as bio fiber or synthetic spider silk. In the intermediate industry sector, began to use multimaterials, with its process controlled by sensor system and integrated grinding system. While in the downstream sector, the production has been made rapid prototyping for special design or measurement and prototype manufacture digitally. "Meanwhile, for the expansion of the export market, its sales and marketing network have used RFID for logistics thus increasing transparency and accuracy in the inventory," he explained.